Hi, I'm experiencing a strange issue since this morning. Why won't my iPhone sync with iTunes after iOS 12 update? How can I fix this issue? Any help will be greatly appreciated! While iOS 12 is an exciting update that brings many features, there are some issues and bugs associated with it as well. One such issue that many iPhone users are facing is that iPhone not syncing with iTunes. This problem can be very frustrating because without the sync, your entire iPhone file management experience becomes a hassle. Fortunately, this problem is fixable and many solutions are available. #1 Having Problems Syncing with iTunes? Why not Sync without iTunes! One of the best ways to avoid iPhone not syncing with iTunes in iOS 12 is to use a third-party alternative iPhone file management tool. iMyFone TunesMate is highly recommended in this regard. iMyFone TunesMate iPhone Data Transfer offers numerous features to make your iPhone file syncing and file management experience hassle-free and convenient. Its 1-click transfer iTunes media to iDevice feature allows you to quickly sync all your iTunes media to your iDevice without any errors. 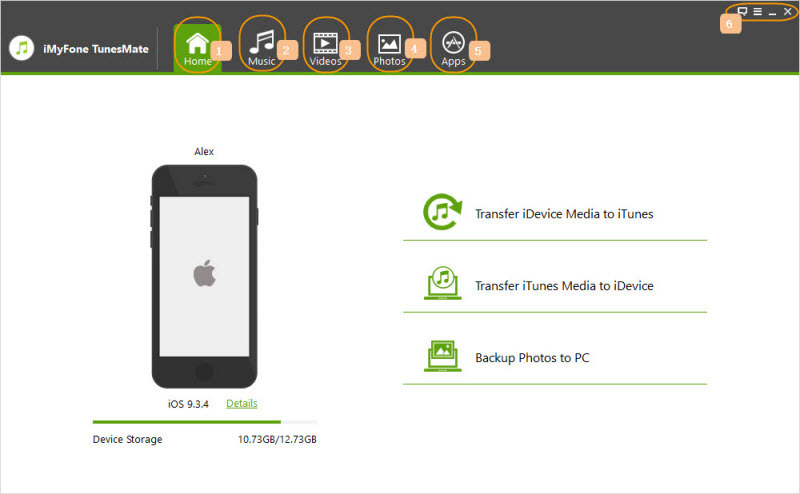 You also don't need to launch iTunes in order to transfer and manage your iPhone files via TunesMate. Sync without Data Loss: While syncing, TunesMate protects all your data while iTunes delete existing files. Two-Way Sync: Freely sync files between iPhone and iTunes/PC without launching iTunes. All types of media files are supported, including photos, music, playlists, videos, rintones, podcasts, and more. Purchase & Non-Purchases: You don't need to worry about whether your items are purchased or not, TunesMate supports file transfer of both of them. Ringtone Maker: Easily customize your own tones from any song; import tones to iPhone or export from iPhone. iMyFone TunesMate is fully compatible with iOS 12 and receive lots of positive reviews from Getintopc, Geekreply, tricksworldzz.com, etc. Tap on your Apple ID. It is displayed on the top of the Settings' interface. Now select iCloud from the list of options and check these options: Photos, Calendars, and Contacts. 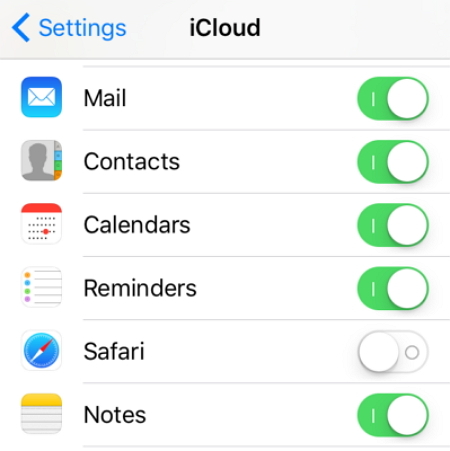 If any of the above mentioned options is turned on, then it means it is being synced with iCloud. Turn them off by tapping them and then attempt the sync with iTunes. Navigate to Account section and see if your email address for your Apple account is displayed there. If not, follow the next step. If your email address is not shown, then it means you are not logged in. In order to login, click the Sign in option and then type your Apple ID username and password. After signing in, navigate to Account > Authorizations and then click 'Authorize this computer' option. You may need to enter your password again. Once your computer is authorized, you will be able to sync without any problems. Step 1. Before proceeding, make sure that your iPhone and your computer are on the same wireless network. Step 2. Next, connect your iPhone to your computer via lightning cable and launch iTunes. Step 3. On iTunes, click the summary dialog of your connected iPhone and check the option named as 'Sync with this iPhone over Wi-Fi'. Step 4. 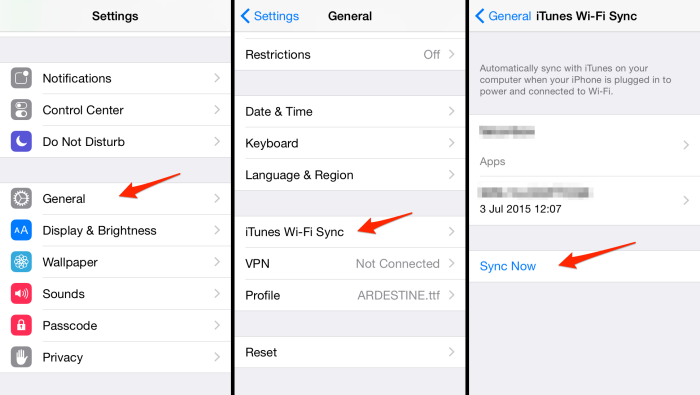 Now on your iPhone, open Settings and navigate to General > iTunes Wi-Fi Sync and choose the Sync now option. Don't Miss: How to Sync iPhone X/8/7/6 with iTunes over Wifi ? 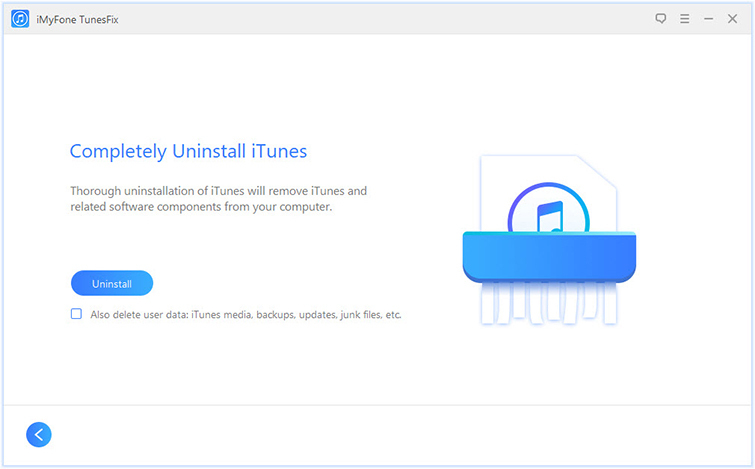 Completely uninstalling iTunes can fix many issues. To completely uninstall iTunes, it is recommended that you use iMyFone TunesFix. After iTunes is completely uninstalled, download the latest version of iTunes from Apple's official website and then install it by following on-screen instructions. Restart your iPhone by pressing and holding the Power and Home button until the process begins. It is recommended that you restart your computer as well. After that, try the sync. Reauthorizing the computer on iTunes is worth a try in order to fix the syncing problem. 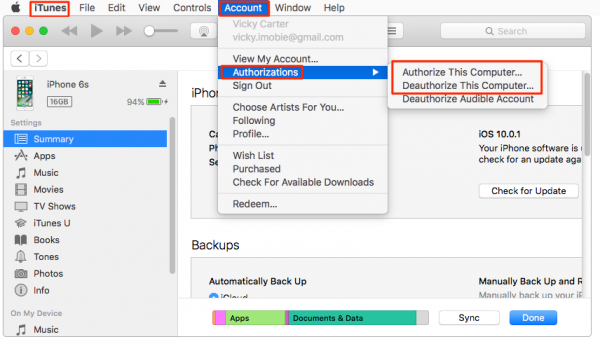 To do this, navigate to Account > Authorizations option on iTunes and then click 'Authorize this computer' option. To update this driver, open Device Manager on your Windows PC and then navigate to the section named 'Universal Serial Bus controllers'. 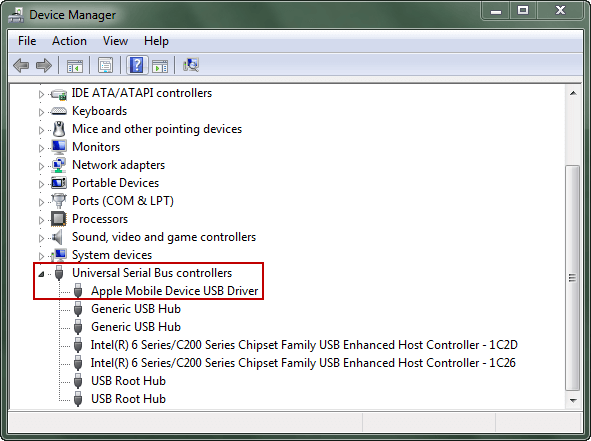 Once in that section, find and right click on 'Apple Mobile Device USB driver' and then choose 'Update driver' option. Follow the on-screen instructions afterwards. Sometimes updating iTunes to the latest version fixes such issues. 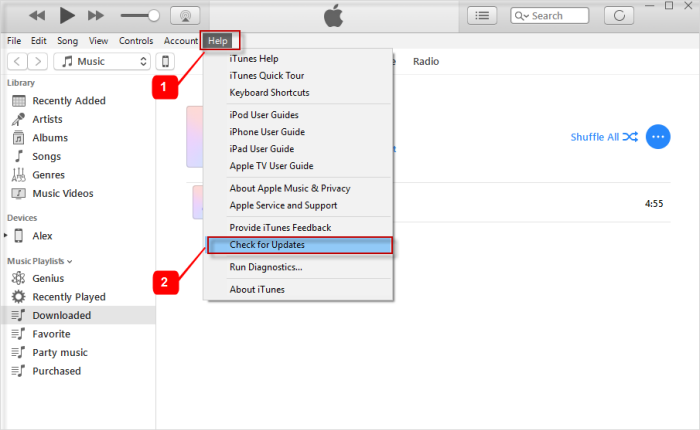 Navigate to Help > Check for Updates section of iTunes in order to update.